Now a days a lot of computer games are out in the market. A lot of people, specially kids are obsessed on playing computer games whether its online or offline games and because of these they neglect their education that leads through their addiction in the computers games. But what if there is a games that can help us improves or help our brain to gain more knowledge and improves our brain development. Tetris has been aged for almost 30 years, the game is played by aligning and rotating falling blocks. It seems like a simple game, in todays standard. Some say it burst brain power but it can be a highly addictive. Is “Tetris” may lead to tipping point from good or bad? Studies shows that playing “Tetris” for about 1 1/2 hours a week for 3 months can help change the structure of the brain. • The cerebral cortex may become thicker. • Other area of the brain becomes more efficient. • Reduce some flashbacks for people with post-traumatic stress disorder. 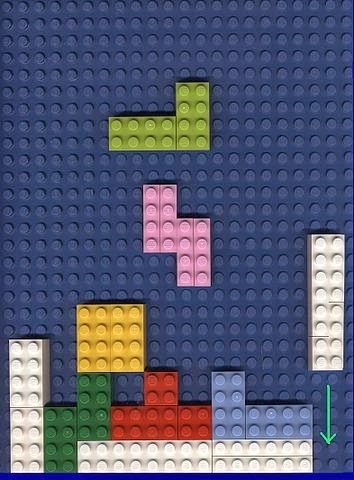 How "Tetris" able to help our brain? Tetris, helps us on our natural desire to organize our things, complete tasks and achieve our goals. it gives us constant stream of "incomplete tasks and there's always a new block to consider and place in the game, which keeps your brain focused. change how we think about the world around us. So, there are still a good games to play with. hopefully people specially teenager's will be able to try “Tetris” 1 1/2 hours a week for 3 months is not bad to try, just try it, maybe it might works. 1 comment to ''"Tetris" Improves and Help Our Brain In Just Playing The Game"